Welcome Aboard! Travel with Gunther Tours in comfort to the heart of the Appalachian Mountains of Kentucky. Enjoy the sights and sounds of "The Bluegrass State", Kentucky. Welcome Aboard! Travel in comfort aboard our deluxe motor coach to the heart of the Appalachian Mountains of Kentucky. First, we check into the Jenny Wiley Lodge for the next three nights. Our accommodations are located in the heart of the Appalachians, accented by scenic 1,100-acre Dewey Lake, and set amidst mountain vistas! You will have time to unwind and freshen up before enjoying a buffet dinner and entertainment at the lodge. After dinner, we take our seats for Entertainment by the Bryant Family of Martin, Kentucky. Seen regularly at Front Porch Pickin' on the Kentucky Opry, Randy Bryant, plays the bluegrass banjo and is accompanied by his two daughters, Meghan on the fiddle and Emily playing the banjo. The family performs the traditional music of rural Kentucky - bluegrass and old-time music. There is only one way to view Elk . . . rise very early and depart with our brown bag breakfast and our knowledgeable guide/naturalist for Elk Viewing. Don't forget your camera! Our guide will provide detailed information about the elk, as well as any other wildlife we might see while on our tour. 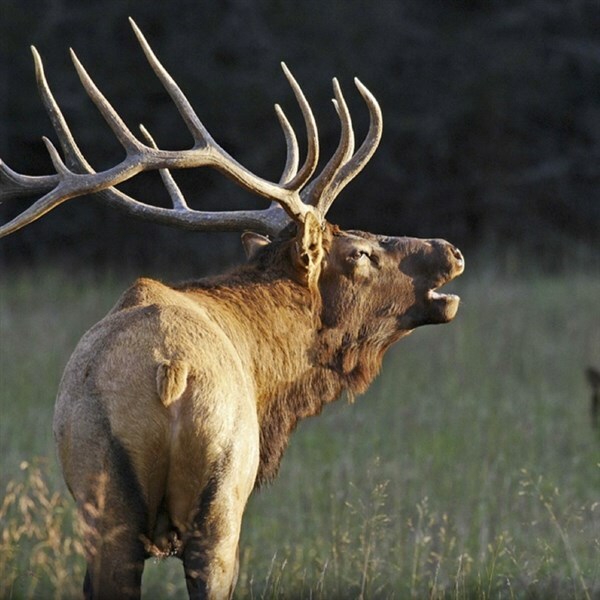 The elk, which live in herds and like to graze on open land during the day and sleep in the protection of the forest at night, were introduced onto grasslands created through surface mine reclamation projects. The elk are entirely wild, not bounded by fences, and free to move throughout the region as they wish. Although no one knew exactly how the elk would fare in Kentucky, they have thrived remarkably. Thanks to an absence of predators and an abundance of food, Kentucky is now considered the "Elk Capital East of the Rockies" with an estimated elk population of 10,000. Later we return to the lodge for a delicious brunch, and after we are treated to a reenactment of "The Legend of Jenny Wiley". It is the survival story of Jenny Wiley, a legendary pioneer woman, who was taken captive by Native Americans in 1789, endured the slaying of her brother and children and eventually escaped her captivity after 11 months. Next, we enjoy a pontoon boat cruise on Dewey Lake. Following our cruise, we will visit the East Kentucky Science Center and Planetarium, located on the Campus of the Big Sandy Community and Technical College. The facility offers an interactive exhibit hall, and popular planetarium and laser light shows accompanied by music. We conclude our touring with an enjoyable scenic drive to the "Moon Shine Hide-A-Way and Tour". 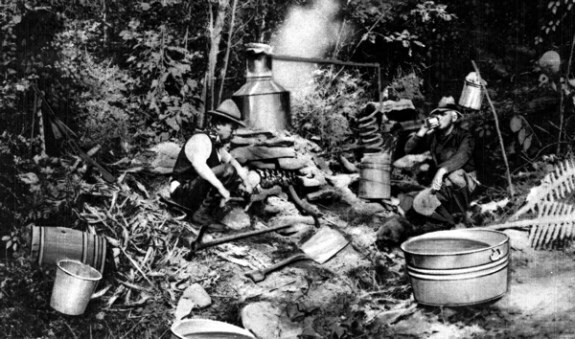 Our tour will include a demonstration of how the old timers brewed distilled famous mountain "white lightin", a policeman who questions the illegal operation, and finally the Shriners who take up their instruments and sing a couple of Moon Shine songs and plenty of foot-stompin' dancing. Before returning to the lodge, we are treated to a delicious outdoor Bar-B-Que dinner with entertainment. After a buffet breakfast with entertainment, we meet our step-on guide, and depart for a day of sightseeing in Kentucky. We begin our touring at the Mayo Methodist Church, built by local coal baron John C.C. Mayo and donated to the Congregation in 1909. This unique structure is listed on the National Historic Register and houses a Pichner pipe organ given to Mayo by Andrew Carnegie. Next, we continue on the Country Music Highway to Paintsville, Kentucky. 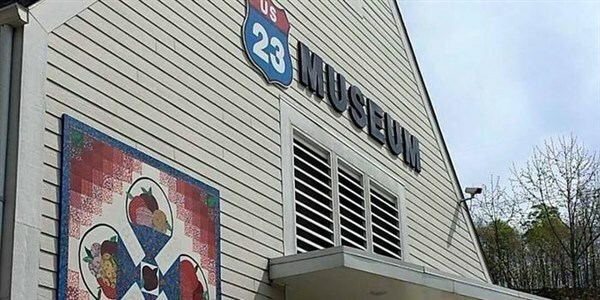 We arrive at the Country Music Highway Museum, dedicated to the country music entertainers who were born or lived near U.S. Route 23 in eastern Kentucky, including Billy Ray Cyrus, The Judds, Tom T. Hall, Ricky Skaggs, Loretta Lynn, Keith Whitley, Dwight Yoakum, and Patty Loveless. Our guided tour takes us along the scenic 445 Kentucky Route 172 to our next destination of the day, the Mountain Home Place in Staffordsville, Kentucky for a tour, lunch and entertainment. 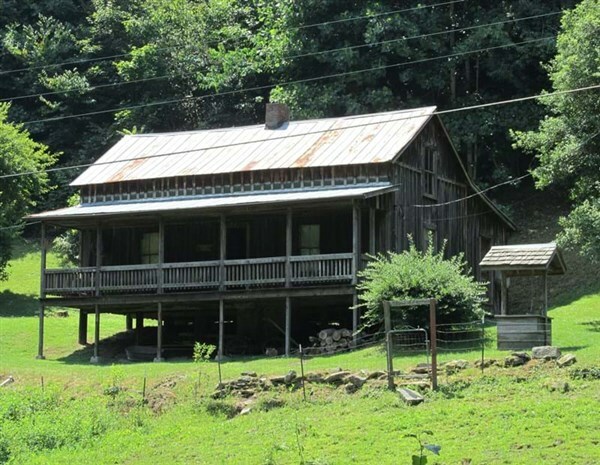 The setting is a glimpse back in time to the mild 1800's to a typical rural farm in the mountains of Eastern Kentucky. First, you will view a short documentary narrated by Richard Thomas, aka "John Boy" of this early mountain life. Then characters in period dress present stories of the log house, barn, the blacksmith shop, and of the church and school. Have your cameras ready to capture the beauty of this rural landscape and the farm animals. The next stop of the day will be a visit to the Homestead of Loretta Lynn for touring. First, there is a stop at Webb's Grocery. Originally a company coal mine grocery circa 1910, this is the General Store at "Butcher Holler" Kentucky. Loretta Lynn and Crystal Gayle's brother, Herman, owns and runs this store. Enjoy a snack of a RC Cola and a moon pie while you browse and shop for souvenirs. Next we go to Loretta Lynn's Butcher Hollow Home Place. Herman will share with us the story of Loretta and Crystal Gayle providing a first-hand account of his two sisters and what it was like living there 60 years ago. After returning to the lodge, you will have some time to relax and freshen up before we go out for a delicious dinner at Billy Ray's Restaurant and an evening of country, bluegrass and "Americana" pop music provided by the Big Sandy River Boat Band at the Mountain Arts Center. After a buffet breakfast settle back and enjoy the movie "Coal Miner's Daughter" on our drive home, while reminiscing about the sights and sounds of "The Bluegrass State", Kentucky. Lot C off of Shipley Ave.
Woodbine Park & Ride Woodbine Park & Ride 704 Lisbon Center Dr.